The Place Hailing from Sapporo, Hokkaido, Baristart Coffee is the Japanese brand’s first overseas outlet and has recently opened along Tras Street. The cafe is located in a shophouse setting, just a few doors down from Hiryu. Upon entering the cafe, there are counter seats right at the front where you can watch the barista at work. The main dining space has good flow of natural light from the glass ceiling, with a welcoming plant feature wall which adds positively to the ambience. The name of Baristart Coffee is also quite interesting as it stems from three words – barista, start and art. The desire for aspiring baristas to start their journey here, and to allude that good coffee should come with good latte art. Baristart Coffee is under the leadership of Yuuki Takechi, the two-time champion of ‘UCC Coffee Masters Latte Art Section in Hokkaido Region’. Be prepared for some really awesome latte art, which we are about to share! The Food Even though Baristart Coffee is seemingly all about the coffee, the food menu is relatively sufficient as well. We started with the Flat White (S$6.70/8oz), which is prepared with the brand’s special milk called Hokkaido BIEI Jersey Milk. This milk, known for its creamy texture, comes from the brown jersey cows, which make up only 1% of the cow population in Hokkaido. I also took the audacious chance to request for a customised latte art for our Flat White, and no prizes for guessing what I requested for. I watched how the barista prepares my coffee, and am very impressed by how he worked magic into the latte art. This is a legit panda. The flavour of the flat white quite smooth to drink, not too acidic yet you get the punch of the coffee. For food, expect the likes of salad, pasta, sandwiches and rice bowls. We started with the Tuna & Avocado Salad with Wasabi Dressing (S$14.80), which has pan-seared tuna with the wasabi lemon vinaigrette. The Tonkatsu Sando (S$16.80) is another good option for sharing, served with heaps of crispy fries. The breaded pork cutlet here is quite fatty and juicy, sandwiched in the soft white bread. For the pastas, we tried the Hokkaido Carbonara (S$17.80) and the Spaghetti Seafood Shiso Pesto (S$17.80). The carbonara with bacon and poached egg is very creamy, prepared from rich Hokkaido milk. Comparatively, the Shiso Pesto takes on a more Japanese influence where the dish is also available in the Hokkaido outlet. The pesto flavour is just right, though I do find the pasta slightly oily. The last savoury dish I tried was the Obihiro Butadon (S$18.80). For the price, the portion is quite big where you get big slabs of the glistening grilled Kurobuta pork belly along with Hokkaido Nanatsuboshi rice. While the pork is quite greasy, it is well-marinated and flavourful, with a delightful char to it. For desserts, expect the likes of Shiro Kuma, or shaved ice, Chestnut and Mont Blanc Parfait (S$8.80), and Cream Puff (S$4.50). The shaved ice comes in different flavours like matcha and strawberry, though I would recommend going for the Hokkaido BIEI Jersey Milk (S$9.80). The kawaii bear shaped ice comes with vanilla ice cream and fruits within, though my advice is to go easy with the Hokkaido BIEI Jersey Milk syrup if you prefer it less sweet. Rants It may be the quality of the imported Hokkaido milk but S$6.70 for a Flat White is on the high spectrum of the average cafe fares. Will I Return Again? 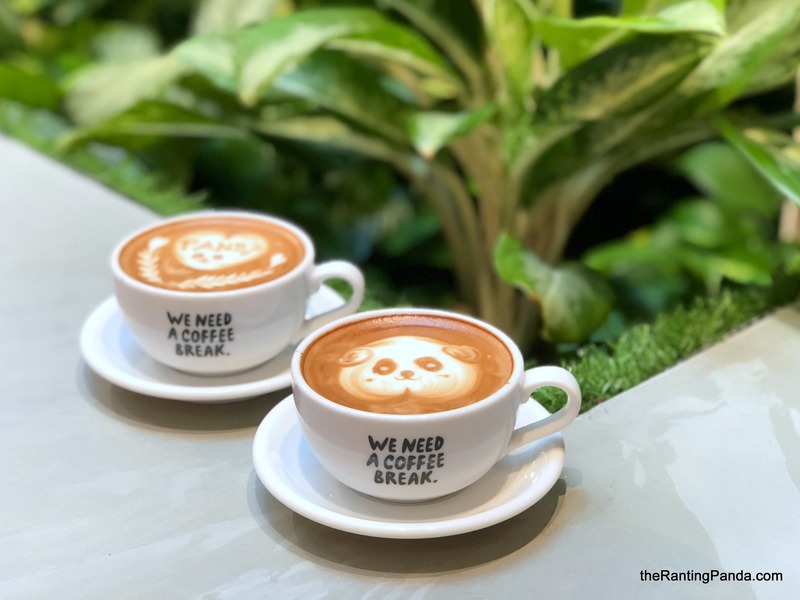 Baristart Coffee is a good addition to the cafe scene in Tanjong Pagar, joining the likes of Bearded Bella and Five Oars. The main selling point here for me is the good quality milk used in the coffee and dishes, coupled with a cosy space which I feel comfortable in.